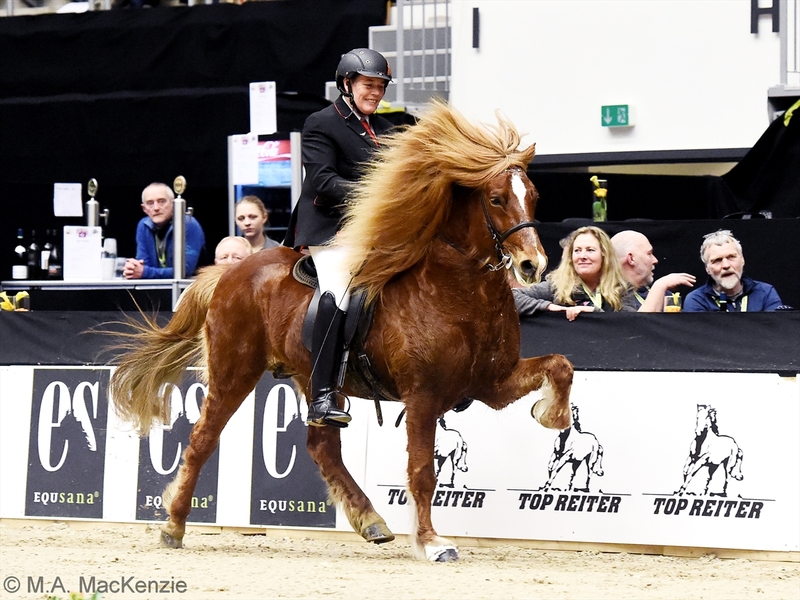 World Toelt | T1 A-final: What a show! The World Toelt in Rieden 2018 closed with a beautiful T1 A-final, where Jolly Schrenk and the amazing Glæsir von Gut Wertheim took the gold with a total score of 8,28 – followed by Irene Reber and Þokki frá Efstu-Grund on the second place and Uli Reber and Vág frá Höfðabakka on the third place! Thank you for a fantastic show! See you next year – World Toelt Rieden will take place in week 12 – the 23-24 of March!